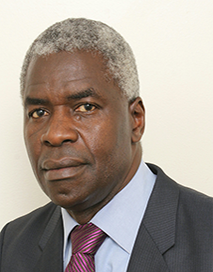 Norbert Mumba boasts more than 25 years of senior management experience in Zambia, including 19 years at the Bank of Zambia (BOZ)—a member institution of AFI—where he held numerous positions such as Assistant Director of Regulatory Policy, Licensing and Liquidations, and Director of Bank Supervision. Mr. Mumba has been a member of several technical committees aimed at reforms of the banking sector at national, regional and international levels. At the Bank, Mr. Mumba also served as liaison with AFI. He actively participated in financial inclusion meetings and activities, and worked to ensure BOZ assumed a strong role in the Network. He was a member and Co-Chair of the Financial Inclusion Data Working Group (FIDWG) that developed the Financial Inclusion Core Set Indicators and participated in peer review programs. Mr. Mumba holds an MBA from Heriot Watt University, a Post Graduate Diploma in Business Administration from Coventry University, and a Bachelor of Laws Degree from the University of Zambia. He is also an International Labor Organization certified trainer for the Female and Male Operated Enterprises (FAMOS) Check, and an Institute of Directors of Zambia (IODZ) certified Trainer in Good Corporate Governance. Prior to his appointment with AFI, Mr. Mumba had been contracted by BOZ to facilitate FAMOS Check Audits in selected commercial banks in Zambia to assess the level and quality of access to financial services by Female and Male Operated Small Enterprises.